The Beneski Museum of Natural History, Amherst College is one of New England’s largest natural history museums, with three floors of exhibits and more than 1,700 specimens on display, including fossils, from fish to dinosaurs to ice age megafauna; rocks and minerals from around the world; and meteorites from beyond. 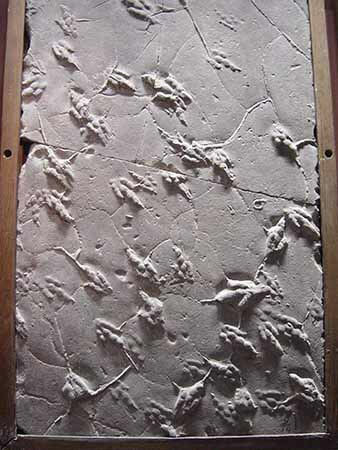 The museum houses an extraordinary collection of dinosaur footprints, most from the surrounding Connecticut River Valley, with exhibits that show the local ecology and landscape at the time the dinosaurs walked the earth. Open Tues–Fri 11 a.m.–4 p.m. | Sat and Sun 10 a.m.–5 p.m. Featuring geological specimens from the local area and around the world. 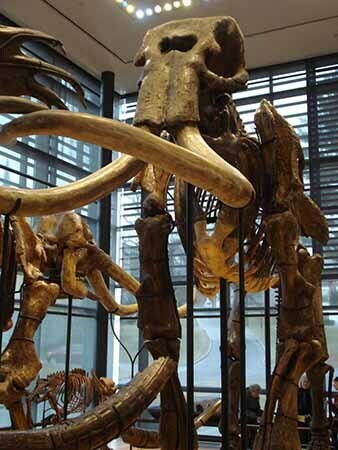 The Beneski Museum features exhibits that illustrate the geological history and explain the geologic character of the Connecticut River Valley. Displays of fossils and rocks help visitors understand how organisms and landscapes evolve over time. Photos courtesy Beneski Museum of Natural History, Amherst College.